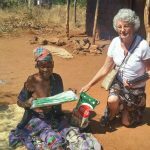 From generation to generation, they have passed on their wisdom and knowledge, that has kept and held the nation and their experience, lessons and works has been the backbone to the Malawian nation we know today. But as years pass on, their legacy and value withers and fades and their knowledge is neglected for we consider them old and backward. They are now looked upon as a burden to cater for and to hide the fact of running away from the responsibility hence we call them witches and wizards, just so that it seems okay to abandon them. 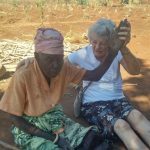 However, God has called us for a mightier purpose than this, to mend the broken hearts of the elderly and restore their joy and legacy, not only for the short time they have left, in this world but for eternity as they enter their new home and what greater way to do this than through the gospel of Jesus Christ. 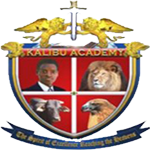 From the year of establishment to this day, the Kalibu Academy Elderly project caters for nearly 805 elderly of whom most are female. The age group of these elderly people ranges from 60 years old to 102 years old. 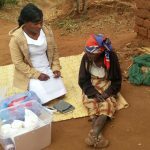 Due to old age most of these elderly people are stricken by illness that come with old age such as backaches, impaired vision, and failure to walk just to mention a few. 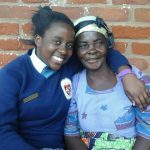 This leaves them unable to fend for themselves or provide a stable source of income to take care of themselves and their grandchildren. One may ask a question that may arise in the minds of many, “But where are their children?” Malawi, just as most of the African countries is known to have a high rate of people who suffer from HIV/AIDS and as a result this has contributed greater to the depression in the number of youthful people, who in the end leave their children to be taken care of by their elderly parents. 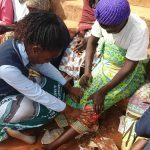 Furthermore, currently, Malawi has experienced a shortage of rainfall this year which has negatively affected the economy as the country depends greatly on agriculture. The sour part of this is that there is lack of maize in the country which is causing starvation. 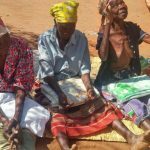 The few maize bags available are being sold at high prices which most of the people let alone the elderly people cannot afford which in turn seem to have worsened the state of the elderly. 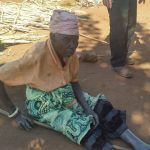 However, the elderly project with the cooperation of the Kalibu Academy students has made it a priority to help the elderly in this situation. 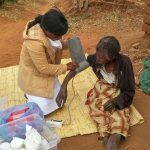 Each week students contribute money at the Saturday night church service as their own initiative, that goes into assisting the elderly as well as donate items such as bars of soap, sugar and other things to the project. 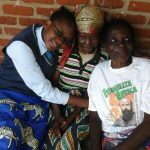 Some students who may feel it greatly in their hearts go on to sacrifice their lunch so that it may be given to the elderly, and such acts of sacrifice and love is what keeps the elderly going each day. 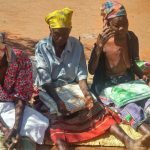 On top of this, each Sunday the elderly team with a group of students heads out to the elderly project to share out already cooked meals such as rice and chicken and other meals to the elderly. 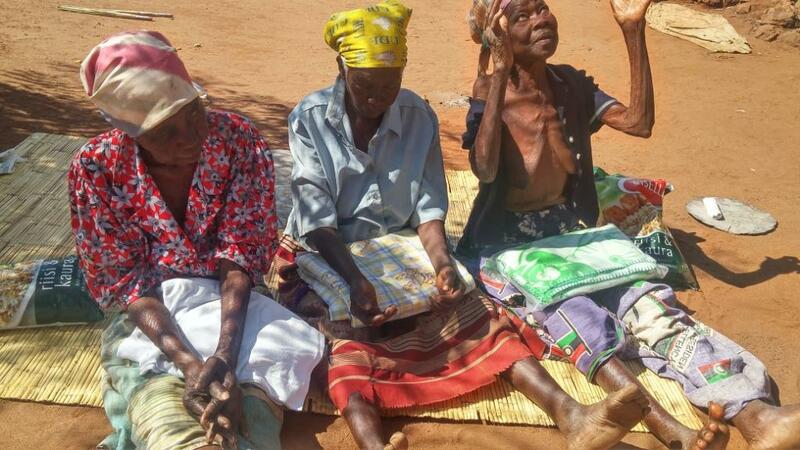 After every two months, the elderly are aided with maize flour, soap, sugar, salt, match sticks. 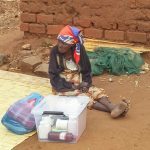 In Africa, these things are of great value to such people in poverty as these are the basic needs. 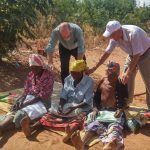 However the highlight of all this gestures, in as much as it meets their social and a domestic need, the main objective is to preach the Gospel to these elderly people and objectively to incorporate the Lord Jesus Christ bas savior in their lives. 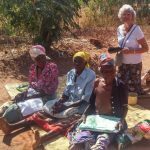 The elderly project has also recently introduced a new project called the pass on a goat project where a male and female goat are donated to a family in a specific village until it bears an offspring and then the female and male goat are donated to another family for the same procedure to happen. This helps people to have livestock in their homes which would be of benefit when faced with poverty, were they would be able to sell the livestock to sustain themselves or could also be used as an alternative business initiative. In conclusion, Albert Schweitzer once said “the purpose of human life is to serve, show compassion and the will to help others.” This is because the little things you do for others occupy the biggest part of their heart. 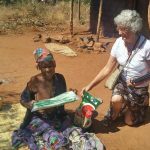 And the elderly project has made a difference in the lives of the elderly through telling and showing them that all hope is not lost, they are loved, they do matter, and they are not forgotten. 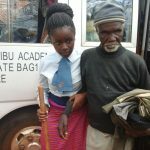 This is evident from the way they are always happy when Kalibu Academy students and the elderly project team visit them to share the word and distribute items.